This colorful chime is tuned to the lovely scale from Erik Satie's Gnossienne #1. 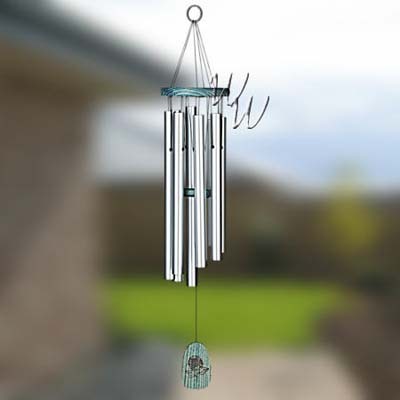 We have provided a sound file if you would like to hear this Chimes beautiful sound. The landscapes of Provence inspired some of the world's greatest impressionist painters; they have inspired us, as well. This chime reflects the color and tone of the french countryside, right down to the sunflower image burned into the wood of the windcatcher. Made of: Blue-washed ash wood, 8 platinum gray tubes.